It’s not every day that Robert DeNiro shows up in a wine and spirits shop. It certainly was a rare sight in Pennsylvania, where state-operated stores have not often been considered the sort of cutting-edge location where film stars promote their wares. But there was DeNiro, meeting with a select number of shoppers to promote his own vodka brand at the grand opening of the Fine Wine & Good Spirits Premium Collection Store in Glen Mills, Pennsylvania. The appearance at the opening last March of the Pennsylvania Liquor Control Board (PLCB) retail unit was just another sign of how far the state has come in its major initiative to rebrand, reformat and enliven many of its network of 601 stores. PLCB Chief Operating Officer Charlie Mooney and Director of Marketing and Merchandising Dale Horst stand before the Made in Pennsylvania section of a newly branded store in Hummelstown, Dauphin County. Chief operating officer and executive director Charlie Mooney was director of retail operations for a few years during the launch of the rebranding, and says the efforts have paid dividends in the areas where the store changes have occurred, in some cases as a result of units being opened in new locations. One outstanding example can be found in the west of the state. 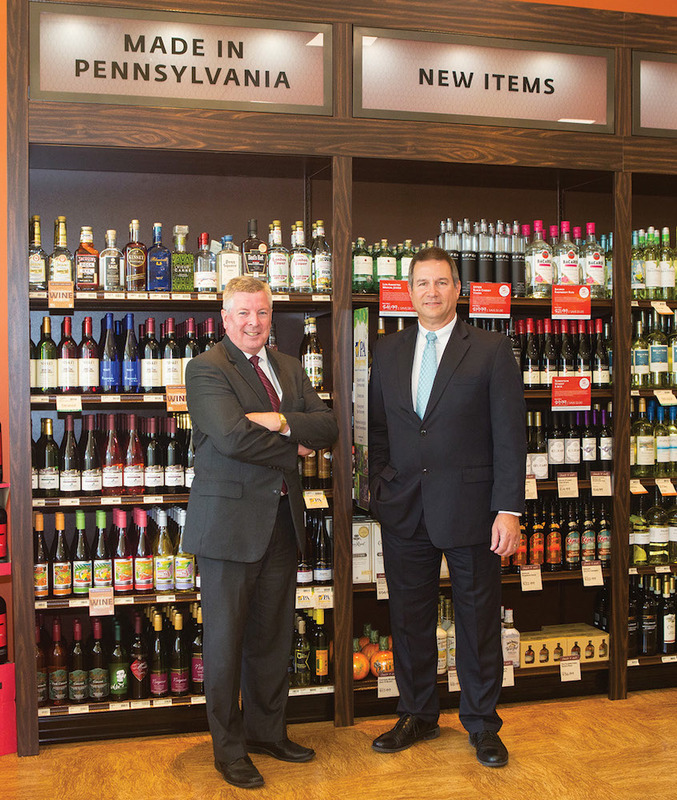 The PLCB closed an existing store and opened a new Fine Wine & Good Spirits Premium Collection Store in Homestead, Allegheny County, in August 2015. “We had a very antiquated store downtown and relocated in what would be considered Pittsburgh’s most commercialized retail center, an opportunity to get next to a Giant Eagle supermarket, a Costco and other stores,” Mooney says. By carefully selecting the location of the new store – in this case, The Waterfront, one of the largest and busiest commercial properties in the Pittsburgh region – sales at the new premium store were up almost 221 percent over those at the old standard store during the same time period (August 2015 to March 2016 versus August 2014 to March 2015). While two other stores nearby the Waterfront store did experience sales decreases after the new store opened, another nearby store saw sales increase. The regional market as a whole saw a net sales increase of 34.3 percent. “The question was, were we shifting or cannibalizing sales from surrounding stores when we would do this, and the answer is we are not,” Mooney says. “We’re averaging a 5.5 percent total market lift when you look at all the surrounding stores in the affected markets. Yes, we do decrease some sales in some of the smaller stores but the overall market lift is positive and we’re very happy about that. Current director of marketing and merchandising Dale Horst notes that, during the last five years, the PLCB stores’ overall sales growth has been between 3.5 and 5 percent, during a time when the state’s population was fairly stagnant and aging. “We operate within a state of level population and we’ve been able to grow sales over all each year,” he says. “The ‘Fine Wine & Good Spirits’ brand has allowed that to happen since 2010 and as we continue to update stores, we expect that to continue.” Growth in markets following rebrands varies, particularly over time, say officials, and some rebrands don’t produce dramatic market lift. But, overall, the trend is a positive one. 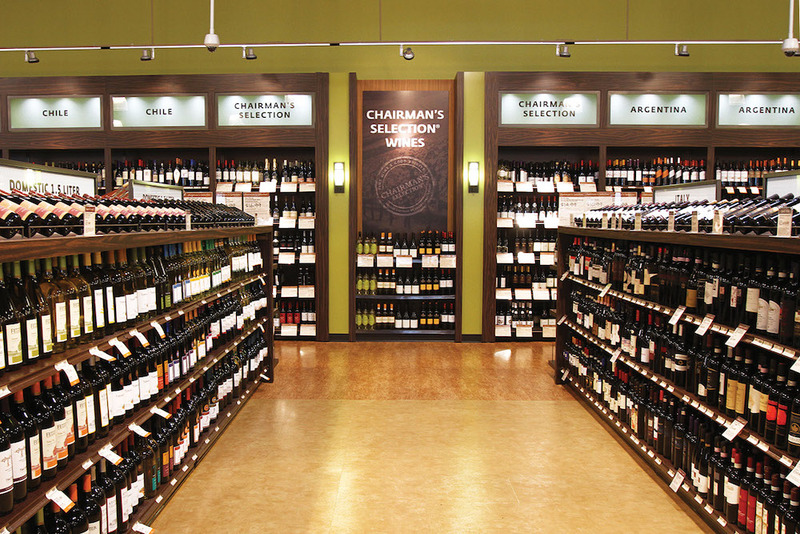 Understanding that a new, rebranded Fine Wine & Good Spirits store can draw business away from other stores in the area, the PLCB evaluates the sales impact on the market surrounding a new or rebranded store. In fiscal year 2015-16, a total of 22 marketing areas comprised of 62 stores (up to four stores surrounding each rebranding project and new location) were monitored. Sales figures show that rebranding and expanding has paid off. Sales for all 22 marketing areas monitored this year increased by 5.46 percent, with some markets performing dramatically well. 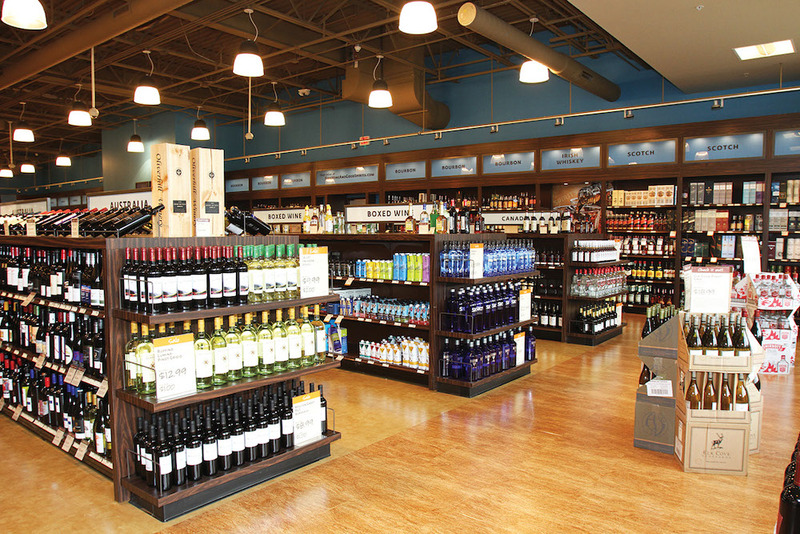 Fine Wine & Good Spirits stores range in size from 1,200 to 15,000 square feet. It’s important to take a step back and look at the evolution of the Pennsylvania stores, once known for their austere and foreboding appearances, with few bottles on display and those all behind a tall counter. “The PLCB was created in 1933 to restrict access to alcohol, so the first stores were dispensary-style with bars and cages,” says Elizabeth Brassell, PLCB’s director of communications. “Now we have evolved in the interest of customer service and improving customer experience. The idea to develop a more comfortable and welcoming brand came out of a lot of criticism for the clinical feeling of what were called ‘Soviet-style stores’.” Only last fall the PLCB eliminated its last counter-service store, where customers ordered from a menu and a clerk went searching for the item. “As the laws got more flexible, we took advantage of the opportunity to become a more well-received brand,” she says. Clearing the hurdle of the new brand name was a minor challenge; these were still government stores and removing the state name was a bit of a leap for an agency used to being the face of alcohol retail. But the new name focuses on the positive image the PLCB wanted to reflect, and has created the break from the past the agency sought. The next hurdle was how to create a better atmosphere – a welcoming shopping environment and upgraded customer service – that encouraged visitors to spend more time in stores. At the stores’ newly designed focal point center table, customers can find staff to answer questions or provide individualized recommendations. As well as providing a tasting bar, the location also highlights promotional items and a collection of educational materials for customers, including answers to frequently asked questions about wine and spirits, a vintage chart, a food pairing outline, party planning guides, calorie charts and tips for responsible hosting and consumption. Throughout design and construction, the PLCB was committed to developing a store that is attractive and environmentally responsible, with the majority of the store’s lighting state-of-the-art LED or energy-efficient compact-fluorescent lighting, which use a fraction of the energy of traditional lighting. All stores receive certain similar elements like signage, fixtures and shelving with a color scheme changed from austere white to more shades of brown and darker colors. With stores that range in size from 1,200 square feet to 15,000, variation is inevitable, but the bulk of the stores are around 3,000 – 3,500 square feet. Whether units are moved to new locations, as in the case of The Waterfront store, or remain in place, landlords are included in design discussions and asked to participate in the amortization of upgrade costs, since the state owns none of the locations. By 2010, three pilot stores were opened with the new brand. As the stores are rebranded, in most cases the product selection is expanded. Premium level Fine Wine & Good Spirits stores (currently 88 are so designated, with the total expected to max out at around 100) carry the most items, including an expanded line of higher-end wine and a premium collection of spirits, usually between 5,000 and 7,000 items. 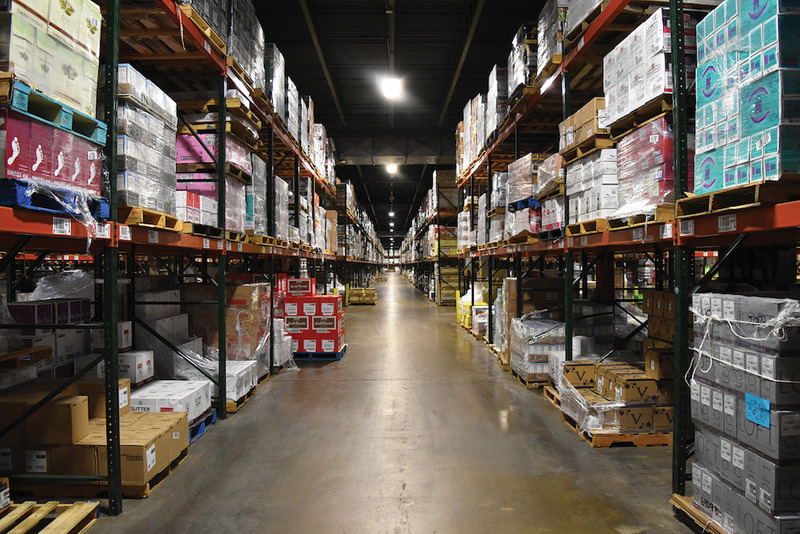 Around 38,000 items are warehoused and available for every store at any time, but the assortment depends on store size, market, demographics and sales histories. “We try to manage the size of store, selection of product and the volume of those products to the local area,” Horst says. The PLCB in-house category management team within the marketing department works with store operators using store plans, layout, product flow and shelf schematics to develop the best assortment and local stores may customize orders based on local customer requests. Each premium store has an educated retail wine specialist, whose responsibility it is to deliver customer service for premium collection products. Central buyers periodically send out items they think offer good value to the wine specialists and they can order whatever they think their clientele will buy. The PLCB has also developed brands for its own wine selections: the Chairman’s Selection and Chairman’s Advantage brands. For these, separate buyers look for quality wine that can be sold at a discount of at least 40 percent. “We buy about 500 different SKUs a year and at any one time have about 125 available,” Horst says. The Chairman’s Selection is for wines above $10 and is sold in both standard and premium Fine Wine & Good Spirits stores. The Chairman’s Advantage wines retail for $10 and under. There is so much wrong with this I don’t know where to start. First, the PLCB is a monopoly when there is no competition and you are the only game in town you, by default, are on top but it isn’t because of anything that you did. How many chains are on a 20 year schedule to rebrand? I’ve never heard of one. How many only plan to rebrand half of their stores? Only one, the PLCB. Second, on a per square foot basis the new stores carry fewer skus than the old stores they replaced. Naturally if the store is larger it would carry more. Third, the PLCB does not stock or warehouse anywhere near 38,000 items or if they do they keep them hidden from view so that nobody can buy them. The current on-line catalog lists about 15,000 (19 items per page X 790 pages) items and it is only that high because of Holiday gift packs and other items not normally carried. Fourth, PLCB wine specialists are almost a laughing stock of wine retail. Unlike Total Wine they have no requirement to be certified at any level besides the PLCB “in house” program. Fifth, with one store in the entire system near 15,000 sq ft the PLCB will never satisfy the consumer the way 30,000+ sq ft stores on our border do. That is why PA has the largest border bleed of any state in the country. People leave for better, selection, service, prices and convenience of one stop shopping. Lastly, the PLCB doesn’t develop any brands. The did have their own brands at one time but competing against their own instate wineries didn’t sit well with the public or the legislature. Another of the many business gaffs the PLCB has done like wine kiosks and going 158% over budget on their IT system because they didn’t read the contract correctly. I could mention the on-going graft and corruption investigation by the FBI on PLCB senior management as yet another reason to shop out of state. The PLCB is the height of state government corruption. We pay more for whatever the government allows us to buy in stores staffed with the least competant staff in retail. Get out of liquor sales you crooks!